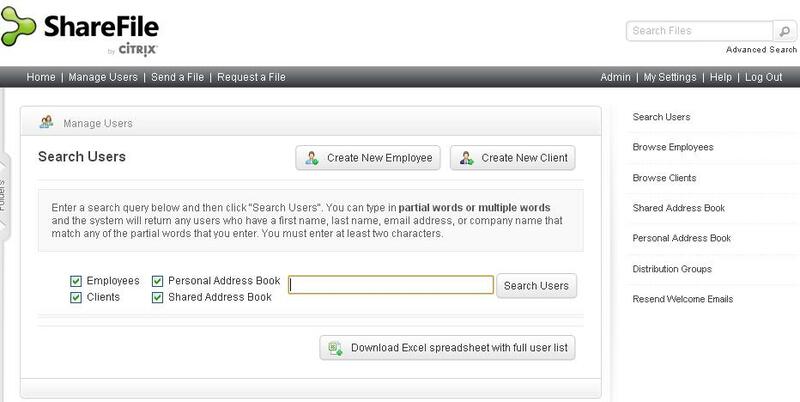 Sharefile was established for businesses of all sizes and offers more than 30 industry-specific customized solutions for companies worldwide. The main goal of the company is to provide customer-oriented solutions with industry-grade security at affordable rates and it offers a wide range of commercially viable solutions. Plans are very flexible with simple up and down scaling, and customers can even negotiate with the company for a more customized plan to meet their needs. 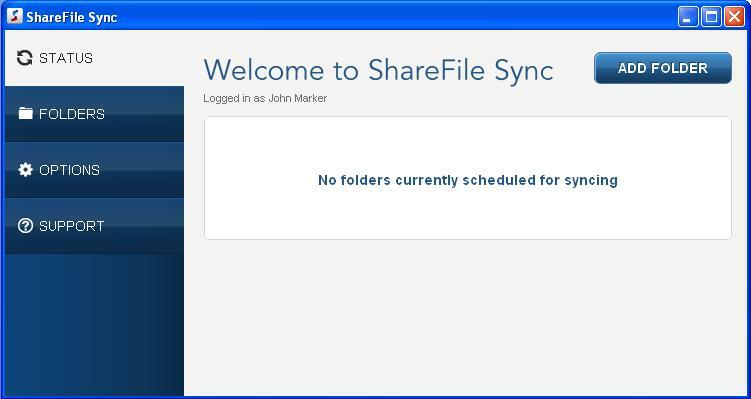 ShareFile is headquartered in North Carolina and offers high quality services to customers in more than 100 countries. 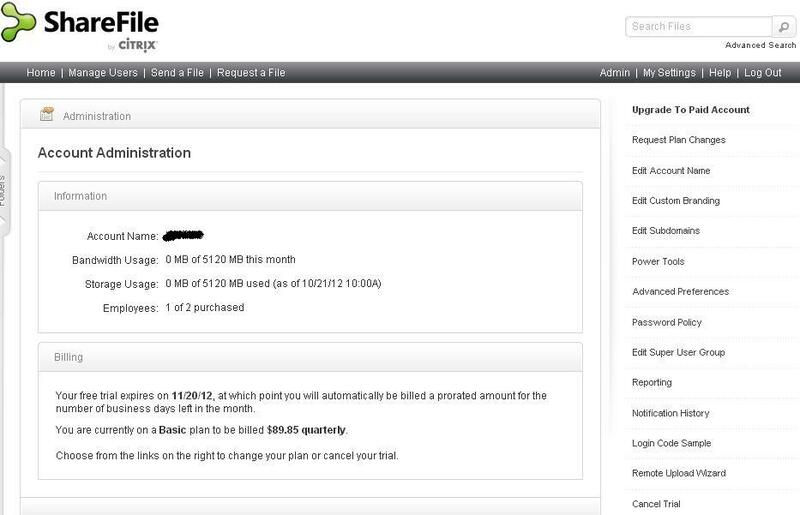 They also offer a virtual data room or VDR, which allows customers to hire a virtual data center setup for its company. 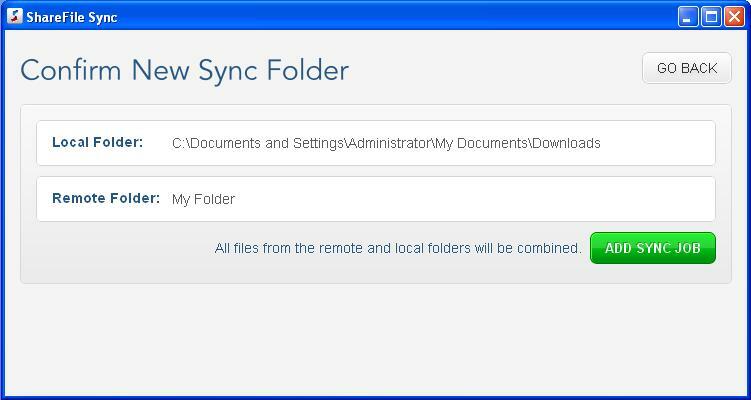 This allows greater independence of activities, and is supported with SSAE16 and SAS70 Type-II security, a dedicated account manager to manage the VDR, power widgets, deep analytic tools and many others. 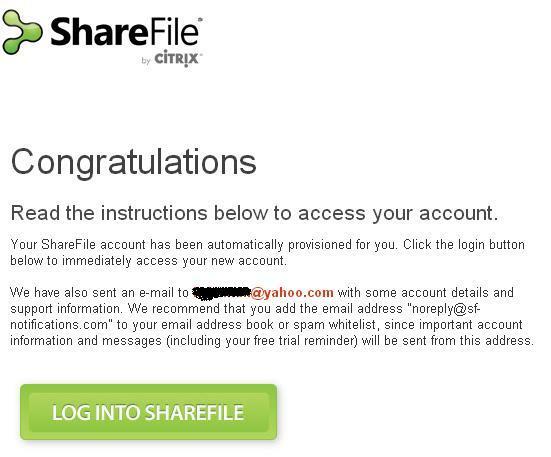 Sharefile is a subsidiary of Citrix Cloud Solution provider, one of the largest, most progressive, reliable companies in cloud platform and virtualization software services in the industry. Acquired by Citrix in 2011, Sharefile got its start in 2005 and is currently home to 20,000 businesses worldwide and 3 million users. 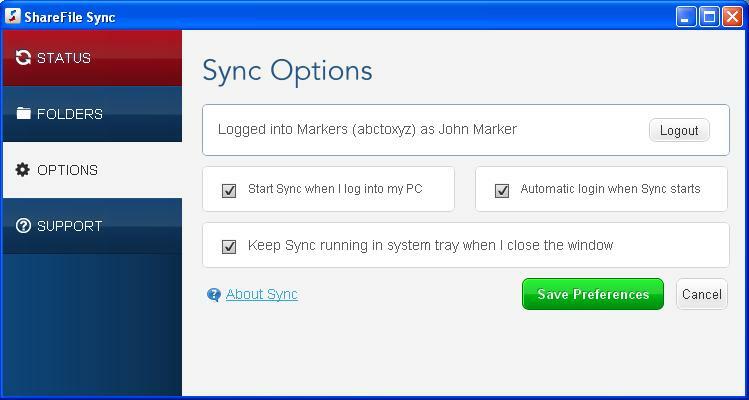 It offers customized services on a simple platform, and its security is one of the key features of the company. 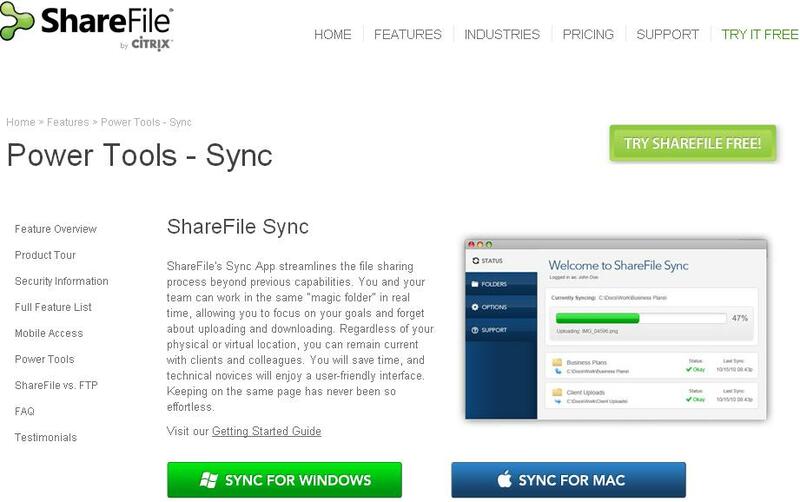 In fact, ShareFile is so well trusted that governments use it. 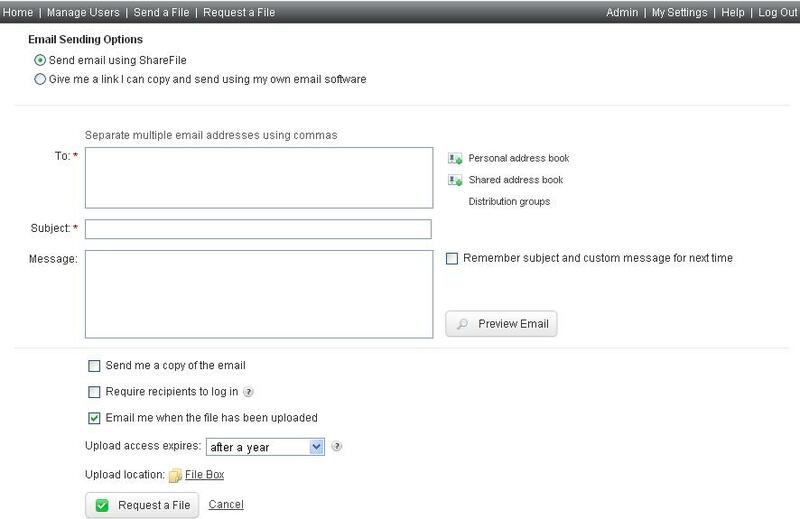 ShareFile has a lot going for it, such as useful features, cost-effectiveness, highly customizable plans that allow business customers to alter even existing plans, world class customer support, dedicated account managers, VDR, industry grade security, and simplicity of use. 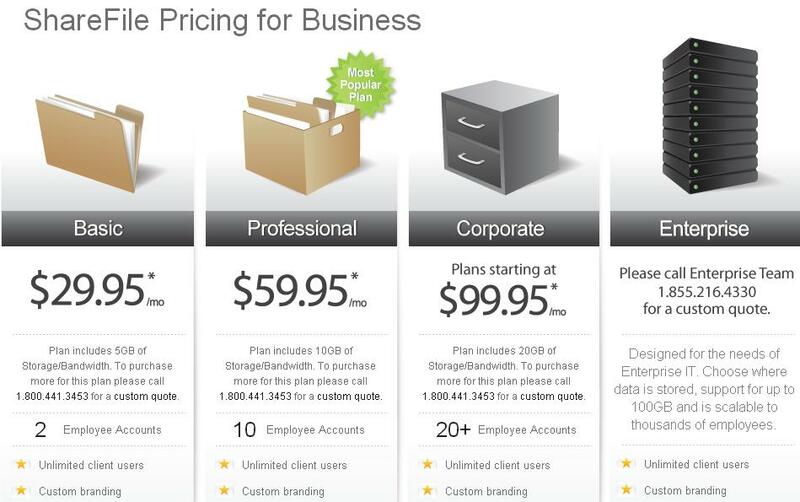 Pricing schemes of ShareFile are pricy, but you get what you pay for. 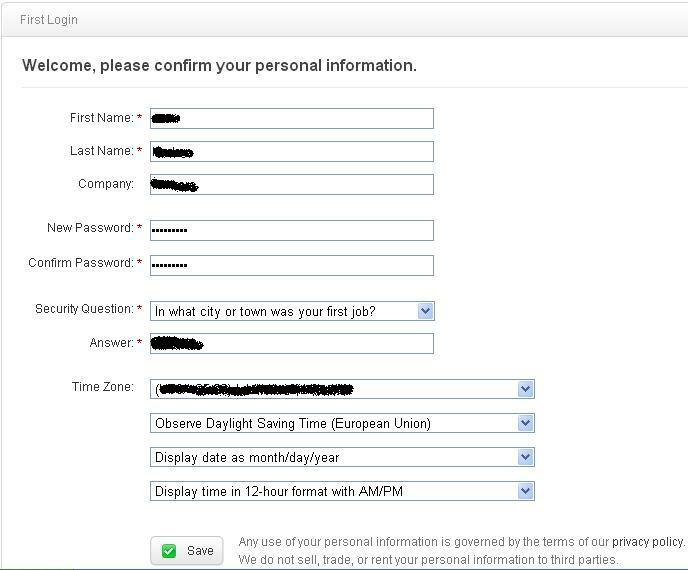 The service is pretty much the same across the board, the difference lying in how many employees are allowed on the account. They offer customized plans for large businesses, which are negotiable for those who don’t see a specific plan they like. 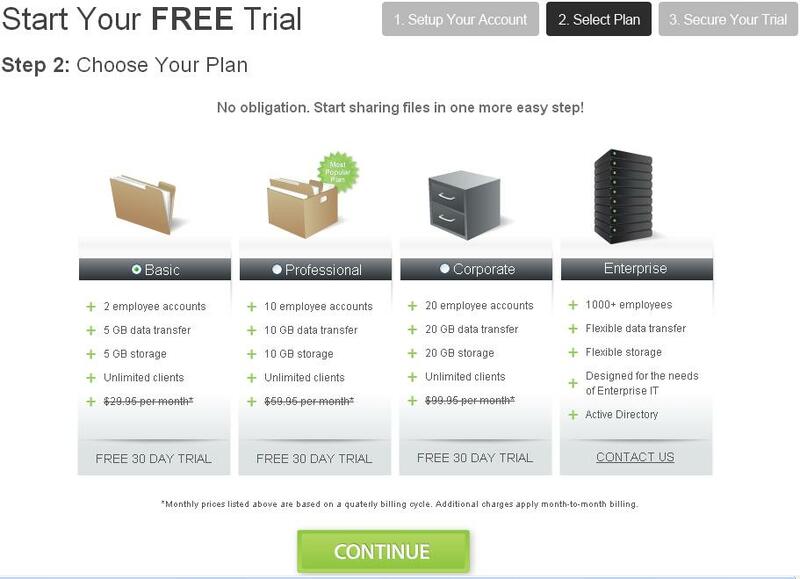 Sharefile Company offers four standard plans: Basic, Professional, Corporate and Enterprise, which are respictively associated with size of operation. 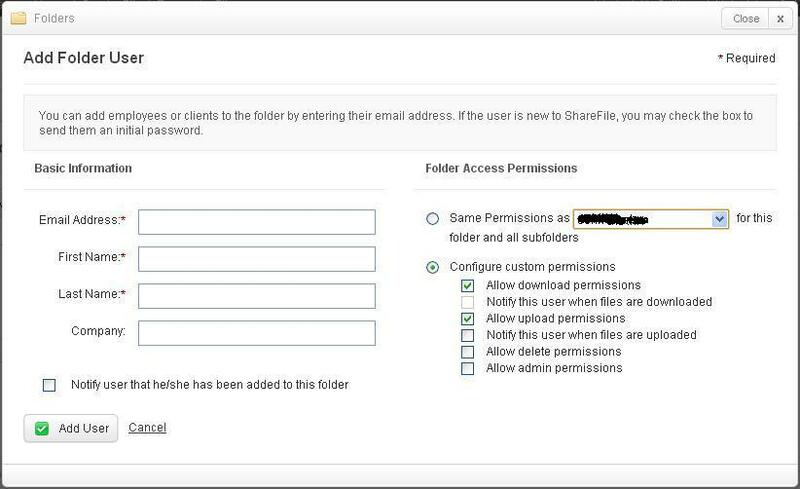 ShareFile also offers a unique service for Enterprise-level customers called the virtual data room, or VDR, which is a secure, useful, professional, and flexible service for management of files and data. 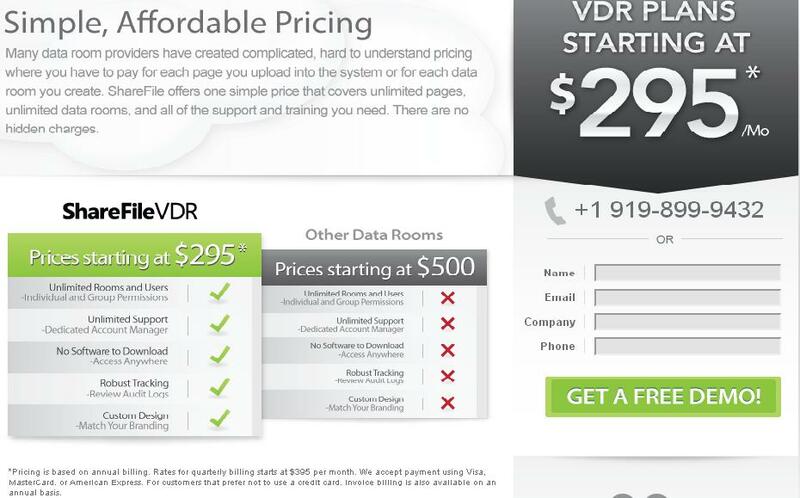 The VDR starts at $295 per month. 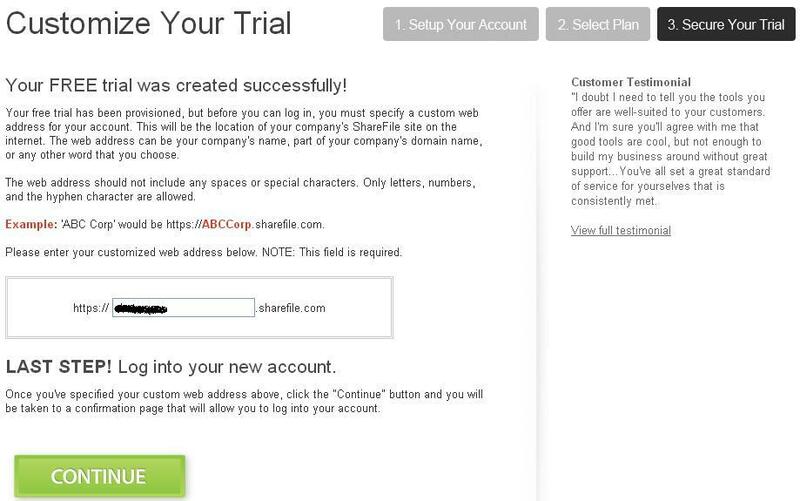 ShareFile also offers a 30-day trial for all services, including the VDR. 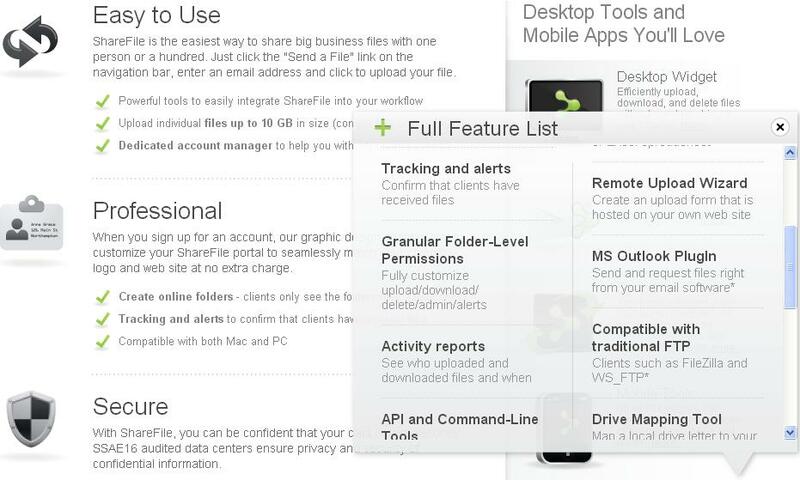 ShareFile has two services for managing data of different sized teams. 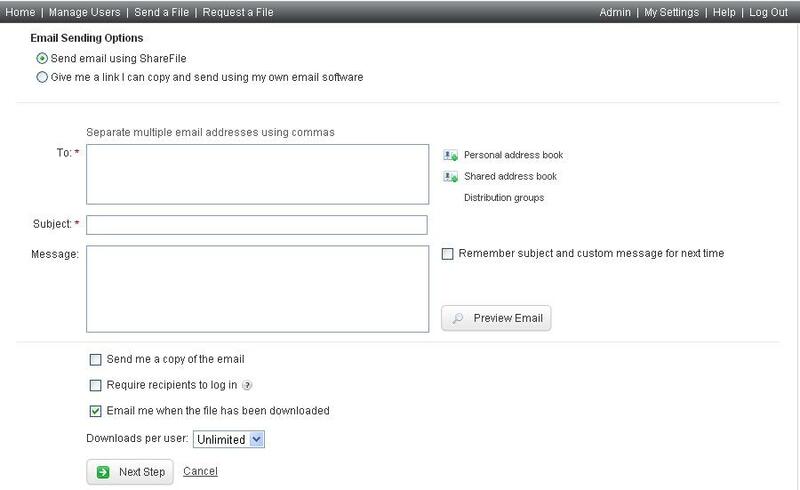 It also offers the exciting VDR service for secure sharing, professional collaboration and management of valuable business data. 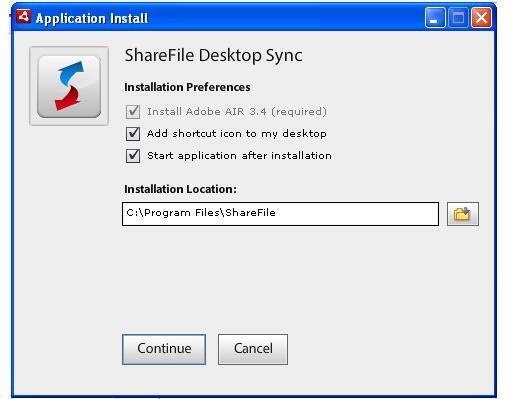 In addition, ShareFile offers widgets, customized services and tuned applications for helping companies become more efficient and productive. 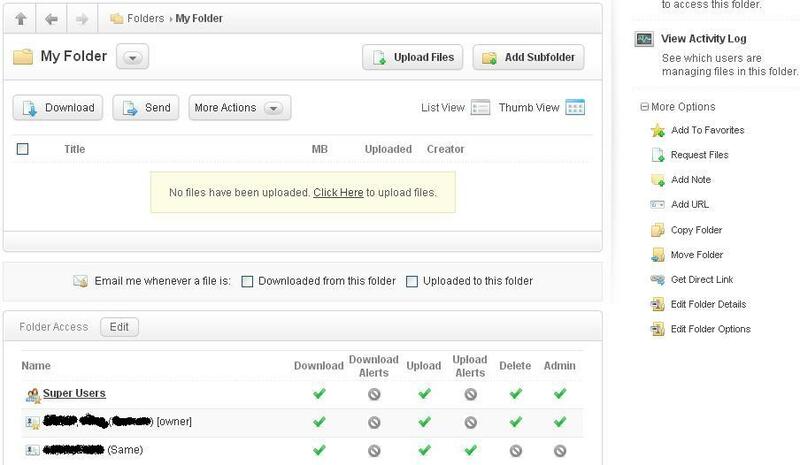 ShareFile’s data centers are provided by SAS70 Type II and SSAE 16 certified Amazon AWS. They’re constructed in accordance with the latest recommended industry and critical building standards. Physical security, monitoring and surveillance systems exist on premises as well as complete logical network security of the servers. Measures include cutting-edge firewalls, access control lists, access policies, authentication and authority mechanisms, latest intrusion detection systems and antivirus software. Data is stored encrypted through 256-AES protocol, which is normally reserved for top-level security info such as financial transactions or sensitive military information. Data is transported through highly-secure encrypted SSL connections. 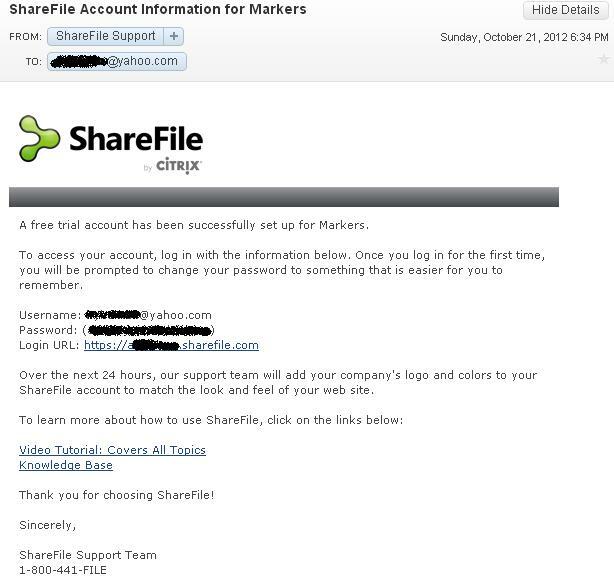 ShareFile has been around for over 7 years, and a well-defined customer support group is in place to meet the demands of situations gone wrong. 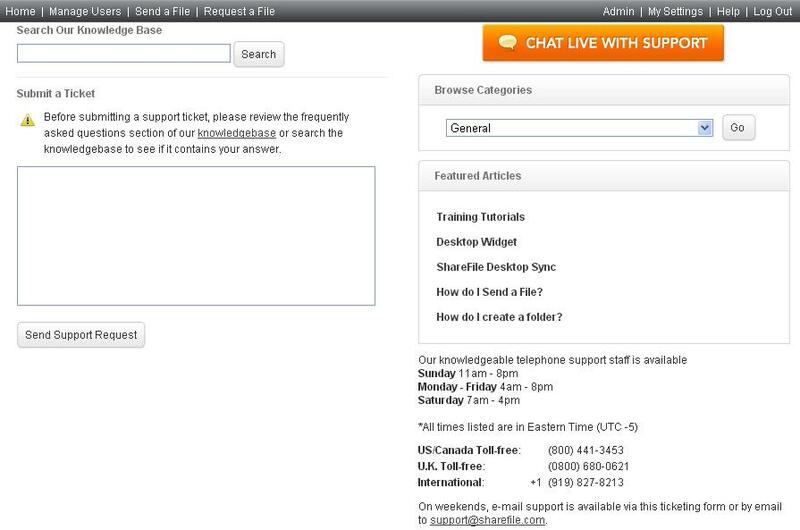 They are available by phone, chat, and trouble-ticket emails. Turnaround time is normally less than an hour. 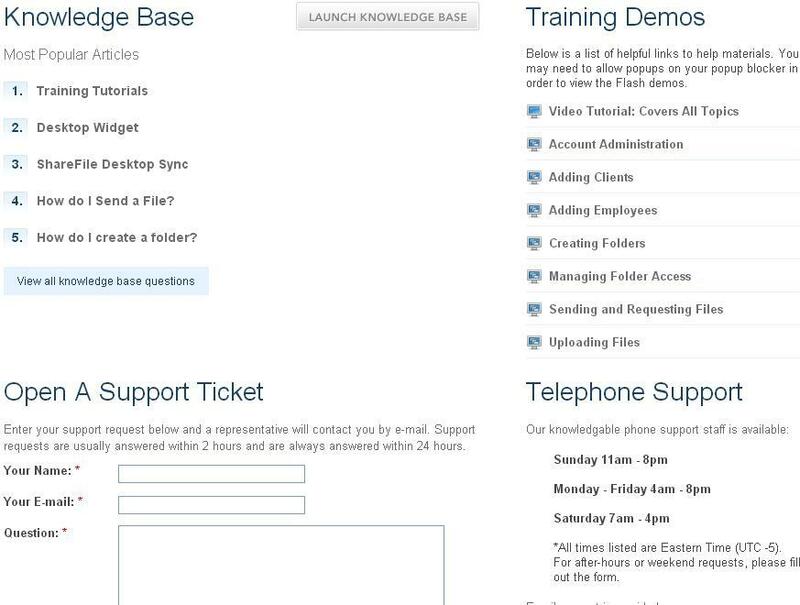 There is also a wealth of informative articles and software manuals, training videos, how-to procedures, and tech support forums where common problems are addressed. 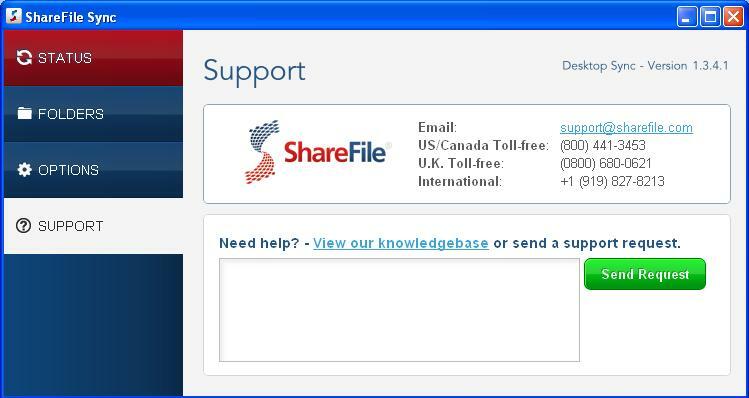 The following illustration shows the support interface from their website. 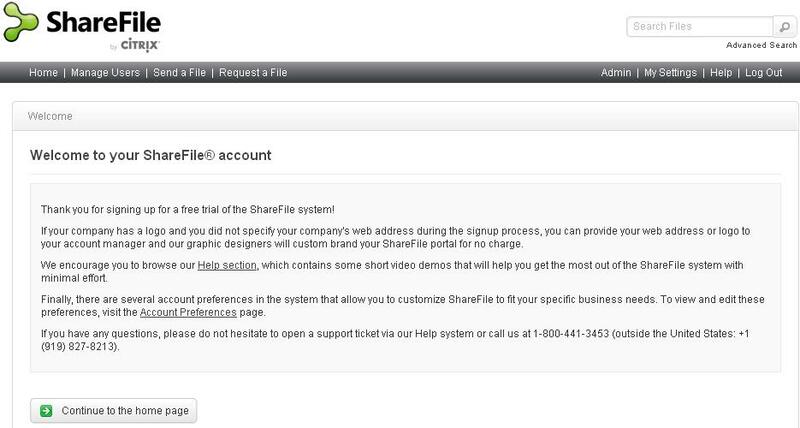 Registration to ShareFile is simple, and free for the first month. 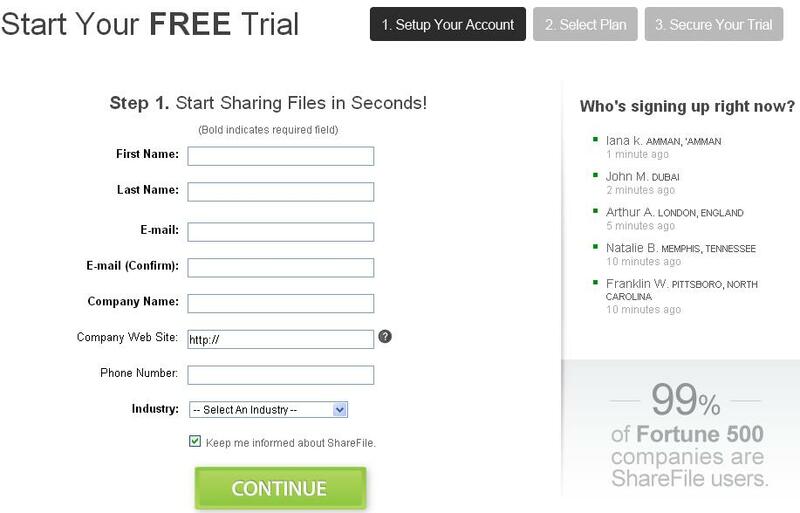 Here’s how to sign up and get started. Click Send and you’re done! 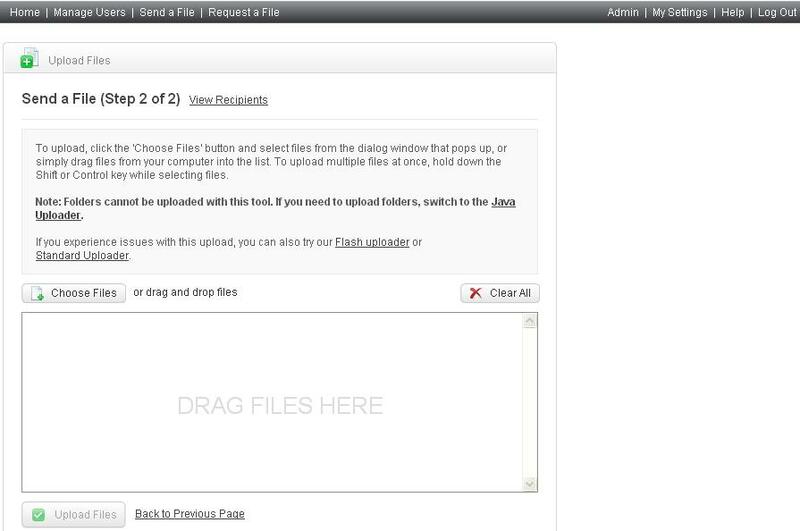 Click Upload file at the bottom of the interface and you’re done! 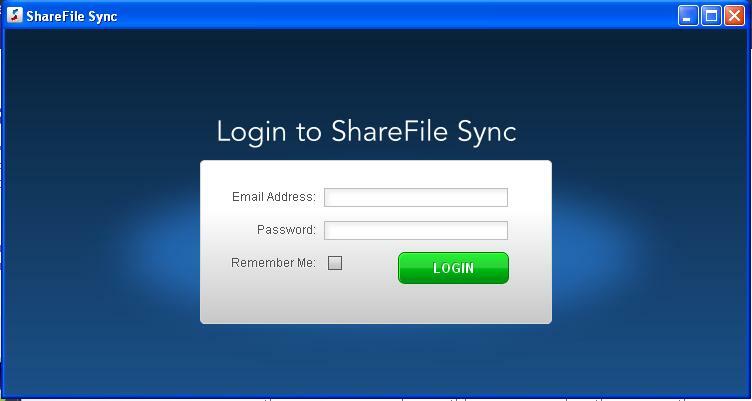 ShareFile is the perfect file sharing solution for businesses. 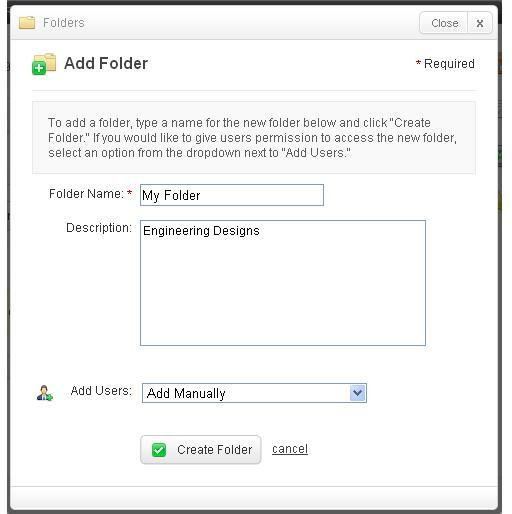 It has a wide range of customized solutions for most any kind of company, as well as a strong technical team to support its valuable customers. 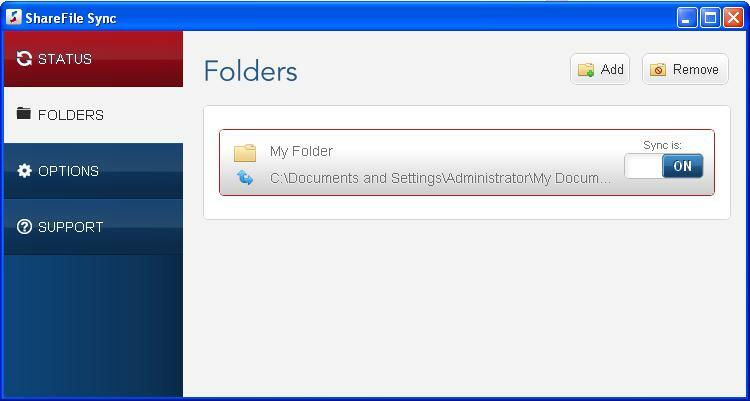 Its file-use system is highly customizable for individual user security access, and the interface is simple and functional. It is recommended for all businesses, but especially for small and medium sized businesses. They are ok, I’m not blown away.